Congratulations to the winners of the last giveaway. Diane N. from Honolulu, HI won Newcomer, and Glen D. of Yuba City, CA won The Line. This week, the doctor is in - in a mystery. 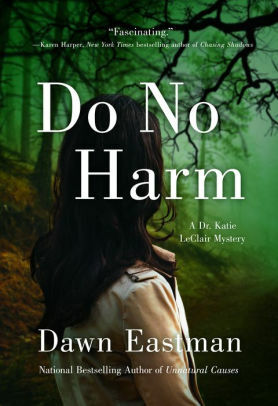 Do No Harm by Dawn Eastman is a Dr. Katie LeClair Mystery. Trouble comes at Halloween for the good doctor. Katie sees a new patient who has just been released from prison for a murder he says he didn't commit. Then, he goes missing. A college student who had been investigating Katie's old murder case is found dead in the woods. Dr. LeClair embarks on a desperate search for the truth. A. J. 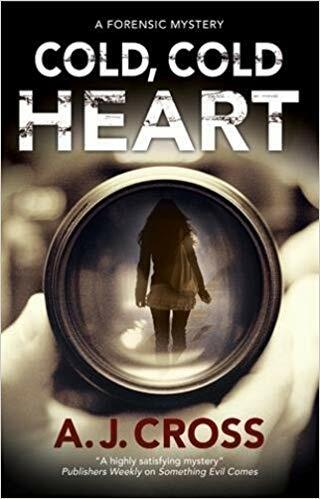 Cross' Cold, Cold Heart is a forensic mystery featuring forensic psychologist Kate Hanson and her colleagues. David Lockman has been serving a life sentence for the murder of Della Harrington, but an appeal judge has decreed the forensic evidence unsatisfactory. Hanson and her colleagues unearth serious flaws in the original police investigation. When Hanson follows a hunch, she undermines her colleagues, and finds her future threatened with the Unsolved Crime Unit. Which mystery would you like to win? You can enter to win both, but I need separate entries. Email me at Lesa.Holstine@gmail.com. Your subject line should read either "Win Do No Harm" or "Win Cold, Cold Heart." Please include your name and mailing address. Entries from the U.S. only, please. This giveaway will end Thursday, Feb. 14 at 5 PM CT.